Not too sweet this yummy gingersnap is also gluten free. Preheat oven to 375°F (190°C). Line a cookie sheet with parchment paper. In a large mixing bowl beat together oil and sugar. Add molasses and egg. Beat till fluffy. Takes about 2-3 minutes. Stir in both flours, baking soda, ginger, cinnamon and fresh ginger until the dough comes together. Scoop out teaspoonfuls onto prepared cookie sheet. Try using a mini scoop for the dough. Bake for 12-14 minutes or until golden brown. Let cool on cookie sheet for 1 minute, remove from parchment paper and let cool completely on a wire rack. Store in air tight container for up to 1 week. Or freeze for up to 3 months. Per serving (2 cookies): 152 calories, 6 g fat, 0 g sat. fat, 10 mg cholesterol, 48 mg sodium, 23 g carbohydrates, 1 g fibre, 12 g sugar, 2 g protein. For a chewy Gingersnap bake for 12 minutes, for a crispy one bake for 14 minutes. Love seeing you on Tracy’s show. I have a question. I’ve purchased a sugar substitute called Xylitol, as a dental hygienist I’m not a sugar fan. How would you reccomend I use it in recipes? Any comments about how it works, texture wise? I’m so sorry I have no expertise on Xylitol. I have used stevia but not in baking. My rule has always been, its okay to use sugar in baking if its in a healthy recipe that contains whole grains, heart healthy fats, and other goodies like flaxseed, oat bran, etc. Made these cookies tonight for my gluten free/dairy free child. 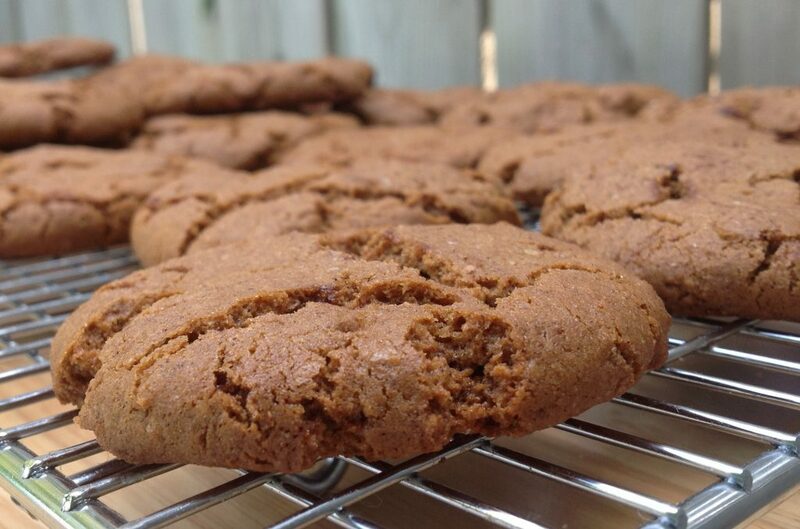 They are AMAZING – our new go to recipe for ginger snaps!! Thank you!! Any idea if they would turn out relatively the same if next time I used all quinoa flour? Thanks for the glowing review! Yay! I tried them with all quinoa flour and they were too bitter. That’s why I used the brown rice flour.